This video clip shows some of the amazing footage from Felix Baumgartner’s chest and head cameras during his successful supersonic skydive attempt Sunday. I’m sure you’ve heard most of this by now, but the preliminary numbers are 9 minutes & 3 seconds jump to landing, top speed of 833.9 mph or Mach 1.24, jump height of 128,100 feet, and freefall time of 4 minutes & 20 seconds. He broke all the records previously owned by Col. Joe Kittinger (who was a consultant on the mission and coached Felix through the whole jump) except for one: longest freefall. Presumably this is because he fell so fast. The faster you fall the shorter your freefall time will be. Felix entered a terrifying spin during the first part of the dive, but he managed to regain control and did not have to deploy the emergency stabilization chute, which would have prevented him from breaking speed of sound. Felix Baumgartner’s supersonic, record-setting skydive attempt was delayed until Tuesday morning due to weather concerns. The balloon launch is scheduled for around dawn, so I’ll try to tune into the interwebs tomorrow morning to see how it goes. More at Discovery News. Space X successfully launched its first official, non-demonstration mission to the ISS last night. The launch was successful despite the Falcon 9 rocket losing one of its 9 main engines about 90 seconds into the launch. The faulty engine was immediately shut down and the onboard computer recalculated the flight trajectory, adding the necessary burn time to get its Dragon capsule to the correct orbit to rendezvous with the ISS. Phil Plait at Bad Astronomy has the full deets. The Mars Rover Curiosity successfully scooped up a sample of soil and agitated it in a bin this past weekend. Instruments on board will soon run a series of tests to determine if the soil could have supported microbial life in the past. Check out this video created from a couple hundred photos taken of the sample as it was being agitated. Few words today, simply two videos to entertain you for different reasons. HD timelapse footage of earth from the International Space Station. This has been making the rounds on the interwebs already, so you’ve probably seen it, but it’s just too good not to post. The city lights combined with the aurorae make this simply jaw-dropping/drool-inducing. Be sure to set HD to “on” and make it fullscreen! Lots of NASA employees and contractors in the vicinity of Cape Canaveral have launched a campaign against Obama’s budget cuts/change of direction for NASA. They are doing this because when the shuttle program winds down later this year, and the Constellation program gets ousted altogether, there won’t be nearly as many jobs in the area. That’s a legitimate concern, but in the big picture, I say it’s a necessary evil. Besides, these people are engineers, scientists, etc… they are all very smart and quite capable of finding work in other areas, maybe even for the private companies like SpaceX that will take over the duties of getting cargo and astronauts to the International Space Station. 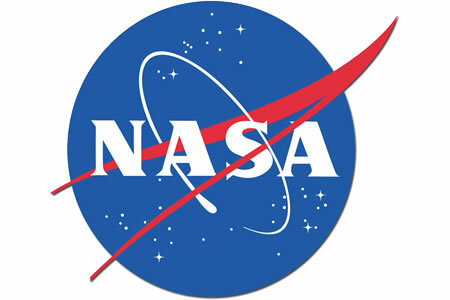 I am all for Obama’s plan, because it pushes NASA to look ahead into exploring the rest of our solar system. That’s where the REAL science/discoveries happen. In reality the space shuttle is a dinosaur- it’s expensive to maintain, and it’s not safe. It has no bailout system whatsoever, so if something goes wrong (see: Challenger and Columbia), the astronauts inside are screwed. It is most definitely an impressive piece of engineering, but it’s time to move on. NASA can NOT continue spinning its wheels, never getting us past the ISS and/or low Earth orbit. NASA needs to focus its efforts/money on projects like the VASIMR plasma rocket engine, which could cut a spacecraft’s trip to Mars from 6 months to roughly 40 days. The new commercial spaceflight companies will be more than capable of handling NASA’s cargo and low Earth orbit needs much sooner than NASA could on its own via the Constellation program. End of rant.